A key exit poll published minutes after voting ended in Poland Sunday shows the socially conservative opposition Law and Justice Party (PiS) sweeping to victory over the centrist ruling party which has governed for the past eight years. A short while later, Prime Minister Ewa Kopacz, who heads the ruling Civic Platform Party, conceded defeat as the opposition was shown winning at least 242 seats in the 460-member parliament. 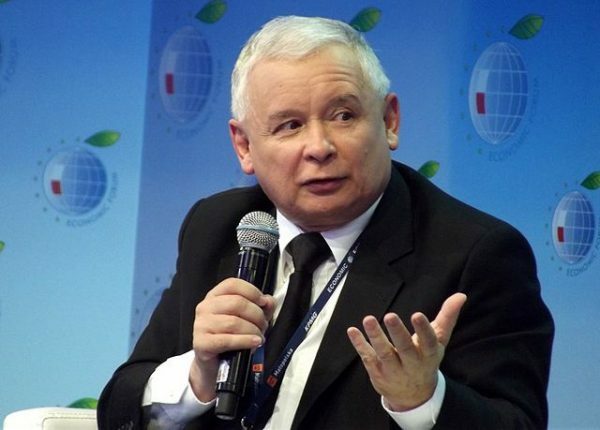 If that margin holds as vote counting continues, PiS — led by former Prime Minister Jaroslaw Kaczynski — will govern without forming any political coalitions. Opinion polls have for months shown the Kopacz government in trouble, following the surprise election defeat of incumbent Polish President Bronislaw Komorowski – a strong Kopacz ally – in May. That win came as controversy continued to swirl over last year’s release of secretly recorded conversations between Komorowski and Kopacz allies, in which the participants debated the merits of political deal-making with lobbyists and businesspeople. The PiS party last held power from 2005 to 2007, when Kaczynski governed alongside his twin brother, former president Lech Kaczynski. The president died in a plane crash in western Russia in 2010.